The seeds of improvisation are planted young. The habits of systems, methods, and standards take root at later ages. There’s nothing wrong with either, of course. Playing the scales and studying the basics—of jazz music, or fly fishing for that matter—will never hurt. But the mature mind depends on the system, while the young, unencumbered mind experiments and grows at its own pace. And I think, in music, and in fly fishing, the more a person is able to develop their own methods—the more they “hear it” and “feel it” for themselves—the better. How many jazz impresarios do you know of, who picked up a horn, or guitar, or sat behind a drum kit for the first time at the age of 30? I can’t think of any either. How many “gifted” fly anglers—people who can make casts into spots that you never thought possible—started dabbling with a fly rod for the first time after they were 30? Not many. I think the “Achilles heels” of fly fishing instruction are that we lean so hard on the “ten-and-two” of the cast, we publish hatch charts, and we eloquently diagram where fish are supposed to be in a river, like charting football plays on a white board. Still, when it matters, it never, ever, happens exactly the way we draw it up, does it? So often, it’s about an impromptu gut feel, a flick of the wrist, and a hunch that makes the difference on the river, or on the flats. People often ask me when is the right age to start a kid fly fishing. And my answer is that it’s never too young. The trick is balancing frustration against reward. Some kids get it early. Frankly, some never will. Some kids just want to feel the tug. Some kids are thirsty to learn. As a mentor (and we should all be mentors) it’s up to you to figure out where the threshold is, kid by kid. A few months ago, I took my 11-year-old son to the river, and he saw a rising trout in a run he couldn’t reach with a normal cast. Too many bushes. I watched and waited, and 10 minutes later, watched him flinging “bow and arrow” casts at that fish (which he actually caught). I’d never told him anything about bow and arrow casts. It just happened. Same with music. I listen to my son play music on the piano, and believe me, we (meaning his mom, and me, and his piano teacher) drill the basics, over and over. Yet every once in a while, he diverges from the sheet music. Instead of correcting him, I just listen… and it’s good. I think we, as we teach fly fishing, we should respect this notion. Expose them to the opportunity early, and then sit back and watch (or listen). Respect for methods, systems, and all of that are important. But it’s more important to let the little people branch out, hear their own beat, and improvise on their own. 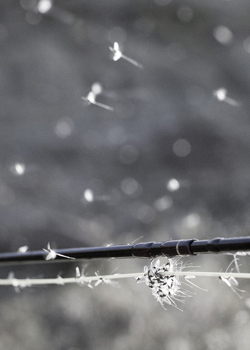 That’s how music, and fly fishing, follows a path of innovation. That’s how things get better. Odds are, those young people will have something to teach us in the future. I, for one, will be eagerly tuned in.